The Car Guide’s Best Buys is a yearly ranking of the most highly recommended cars and trucks by its team of journalists—in a wide variety of market segments. That obviously includes affordable mainstream brands, but also luxury-brand cars and SUVs. 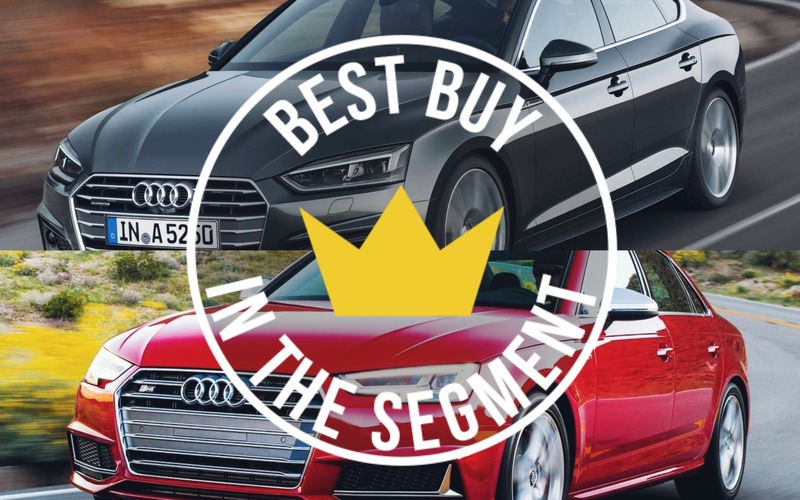 In the category of compact luxury cars, the Best Buy title for 2019 has been handed to the Audi A4 sedan and A4 allroad wagon as well as the Audi A5 offered in coupe, five-door Sportback and cabriolet body styles. Sharing the same platform and drivetrains, the Audi A4 and A5 set themselves apart by their level of refinement and their build quality, notably in regards to interior design and finish. In addition, aside from the base A4 trim level, these compact cars are equipped with quattro all-wheel drive as well as a turbocharged, 2.0-litre four-cylinder engine that develops 252 horsepower and a generous torque rating of 273 pound-feet from 1,600 rpm. By moving up to the S4 and S5 versions, we get turbo 3.0-litre V6 that produces 354 horsepower and a resolutely dynamic drive. The Audi A4 is available from $39,800 before freight and delivery charges, while the A5 retails from $48,400 (coupe), $49,200 (Sportback) and $63,550 (Cabriolet). In second place in the compact luxury car segment, we find the BMW 3 Series (MSRP from $49,000) that benefits from a redesign and is significantly improved for 2019. The 330i xDrive is equipped with a turbocharged, 2.0-litre four-cylinder engine that develops 255 horsepower and standard all-wheel drive. Over the course of 2019, the 382-horsepower M340i will be added to the model range. In third place, we find the Mercedes-Benz C-Class (MSRP from $46,100) available in coupe, sedan, wagon and cabriolet body styles. Its turbo four-cylinder engine develops 255 horsepower, providing good performance and fuel economy, while the Mercedes-AMG C 43 variants benefit from enhanced handling and a 385-horsepower, twin-turbo V6.